Audience/Genre : Young Adult/ Paranormal, Fantasy. Publication : January 5th 2012 by Dial Books for Young Readers. Prize is a signed copy of the book. Janet Lee Carey is the award-winning author of eight Children's and YA novels. Her YA fantasy is critically acclaimed: "Verdict: This is quite simply fantasy at its best–original, beautiful, amazing, and deeply moving.” School Library Journal starred review. Janet links each new book with a charitable organization empowering readers to make a difference in the world. She tours in US and abroad presenting at schools, children’s book festivals, and conferences. I've heard some really awesome things about this book and really love the cover so I'm definitely stoked to read it! And my fav. paranormal read is probably the ever-popular vampires. Not very original but I can't help it! I've been wanting to read Dragonswood! I dig all sort of paranormal characters. Angels, vampires, werewolves, aliens. Throw them all in a ring and I'll love it! I love Janet Lee Carey, so I am super excited for this one! I love my fantasies and paranormals to have any type of fae in them. I guess I tend to favor the classics. My favorite is The Hobbit. I"m really excited to read this one! The cover is beautiful. I got it once from the library but ran out of time to read it so I was bummed. Looks SO good! Great tour stop! I like a variety but I'm not really partial to vamps or zombies. Sounds awesome and I love vampires! This book sounds awesome, but I will admit my favorite is fallen angels. I haven't read many dragon books, but this one sounds awesome! I've read it already and it's incredible! I put this book on my wish list some time ago when I saw that it had both dragons and fey in it. I love fantasy adventure stories. I do not have a favorite supernatural; I like them all. I can't wait to read this book! My favorite paranormal/fantasy reads always include vamps and/or fae. Thanks for the awesome giveaway! I can't wait to read this book! It's been on my wishlist forever. My favorite paranormal reads are vamps, but I love almost anything paranormal. This book is exactly the type I like to read. Really looking forward to reading it. I've read Dragonswood and loved it!!! It's one of the best high fantasies I've read in a long time. This book sounds like a great book. I love any type of paranormal/fantasy book. It doesn't really matter to me whether they be about vampires, werewolves, fae, or all of them. 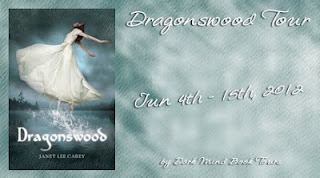 Loved Dragon's Kepp, so really forward to Dragonswood! I liked Fey but ill go for anything thats got some action in it! And my fave would be witches and fae, I guess. My favorites are shapeshifters, wolves and big cats! I love those! ;) Fairys come in a close second. I've been wanting to read Dragonswood for a while now. I love shapeshifters! Thanks for the giveaway! I usually prefer second-world fantasy to paranormal, but I like to keep an open mind. I hadn't heard of this one before, but I do like the premise. 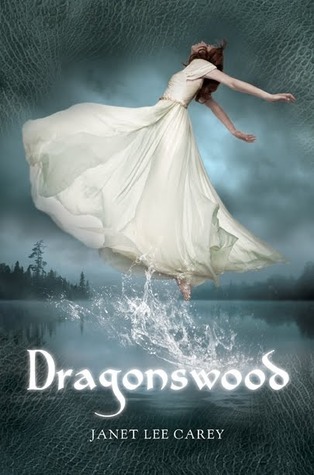 I have already had the pleasure of reading Dragonswood and it is one of my absolute favorites. As far as my favorite paranormals, ALL of them? Honestly, I love vampires, were's, the fae (fairy, faerie! ), dragons, ghosts, succubus....on and on. I just love 'em all! Thanks for the giveaway of this wonderful story! Well as you can see from my name..I do like my vampires. But I love to read about any kind of paranormal species really. Paranormal Romances and Urban Fantasy are my favorites usually. I'm very excited to read this one! I've read the first few pages online and the writing is beautiful, and I've heard great things about the author. I like pretty much all paranormal creatures! I've been wanting to read this one for a while. A few of my teen patrons have told me some pretty good things. As for the paranormal creatures - it all hangs on the world-building. I've gone through more fairy and vampire phases than anything else, though. This book looks great and I would love to win it! My fave type of paranormal fantasy book has all the different creatures in it - wolves, vampires, fairies, shapeshifters! The more the merrier! I would love to read this book and vampires are my favorite. Sounds like a pretty cool story. I'll have to add it to my TBR. Thanks for the giveaway. Dragonswood I think its a romantic and many have a good. I'm so happy for that and make a goodthings ever. No events again in this year min?